Music at Bromsgrove is vibrant and inclusive. Each pupil is aided by a team of specialist teachers to find their own musical journey through an imaginative and stimulating curriculum, with the option of learning an instrument from the earliest opportunity and by participating in a wide range of extracurricular musical activities. Our aim is to provide something for everyone: all types of musical endeavour are encouraged. Curriculum Music and Extracurricular Music together form the basis of an integrated, practical and engaging approach to musical learning at BIST, encouraging and developing four Strands of Musical Learning: performing, creating, listening and notation. All students from Reception through to Year 9 receive specialist Music lessons as part of their timetabled learning, with a number of students going on to study Music and Music Technology at GCSE and A Level. Bromsgrove is an ambassador school for both Charanga International School and Musical Futures International. Charanga International School is a living cloud-based resource that brings together great music, modern pedagogy and the latest educational technology. The material presents an integrated approach to music where all Strands of Musical learning are linked. Musical Futures is based on a pedagogy that is driven by the musical culture of the participants, bringing real-world approaches to learning music into schools and other formal settings, engaging and inspiring all and promoting inclusion and diversity. 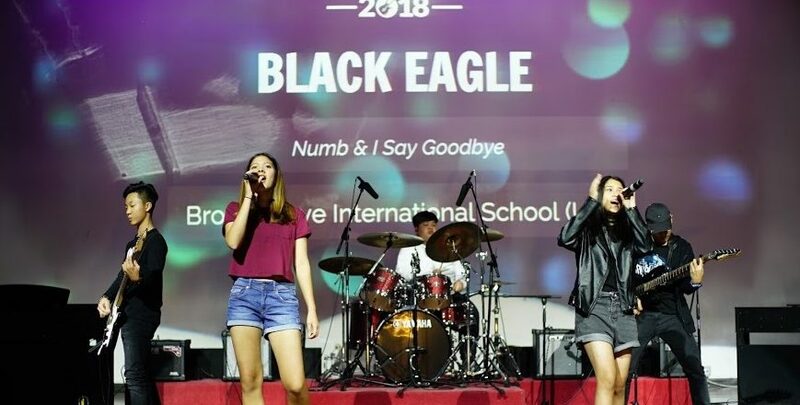 Extracurricular Music is designed to support and extend existing musical learning at BIST. All students across Primary and Secondary can sing in a choir, play in an orchestra, form a rock band or even learn a new instrument. Our school productions also benefit from extracurricular support and provide a fantastic opportunity for our students to combine their music, dance and drama skills. Bromsgrove Music Academy offers high-quality music tuition to all students in Years 2 to 13. Lessons are delivered by full time Bromsgrove staff and visiting teachers from 2 Learn Music, in association with the UK’s Associated Board of the Royal Schools of Music (ABRSM). Students who wish to start learning a new instrument can sign up for a free, 20 minute trial lesson, before committing to full study with the Music Academy. These are an excellent opportunity for students to try out an instrument for the first time and to meet the instrumental teachers from Bromsgrove and 2 Learn Music. For further information, please email music@bromsgrove.ac.th.